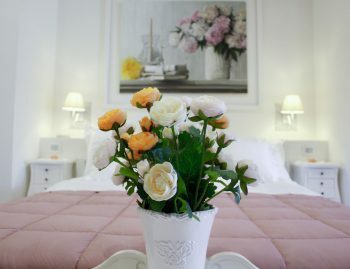 Blanc Maison Etna, a large white house, renovated with love and good taste, lies on a beautiful park, with flowers and ornamental plants, solarium with swimming pool, corners for reading, jogging path and lots of pure air and finally a convenient parking . A true shabby idyll with touches of Provence, which transmits warmth and romanticism, nestled on the slopes of Etna: B&B Blanc Maison Etna Relais & Charme, overlooking the quaint village of Nicolosi, looking at the great Volcano, which in all its majesty dominates it , giving enchanting scenery, with colors, smells and suggestions that characterize every season of the year. Each room, with bathroom, air conditioning, smart TV and Wi-Fi is customized to give life to different atmospheres but all warm and bright. Each guest has got the opportunity to access the Park that surrounds the house to breathe pure air by jogging, or to take a tan in the pool, or for a reading in the shade of the centuries-old olive tree. Located at the foot of Volcano Etna, a few steps from the center of Nicolosi, B&B Blanc Maison Etna Relais & Charme is perfect to go up the Mount Etna ... and down to the center of Catania and then arrive in a few kilometers to the beautiful Taormina, Siracusa, Ortigia, Agrigento and many more. The most beautiful adventures, often arrive when you don't think too much about it. 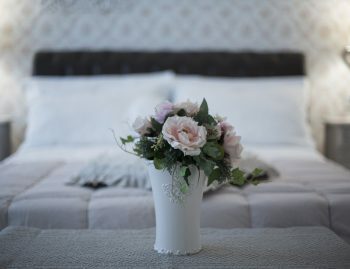 Blanc Maison Etna Relais & Charme comes from a lovely and careful renovation of the Samperi family, a six-years journey aimed at enhancing in shabby country chic style, a warm and welcoming home, with hints of Provence and interior attention to details. 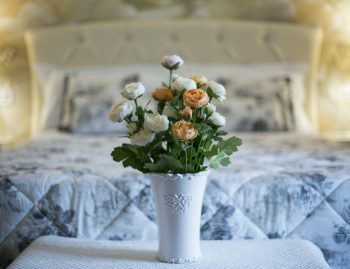 The B&B offers, inside "Charlotte" room, every comfort to its guests. The breakfast is characterized by the flavors and aromas of Etna: honey, jams, preserves, seasonal fruit, typical sweets or a savory breakfast in the name of genuine local products. 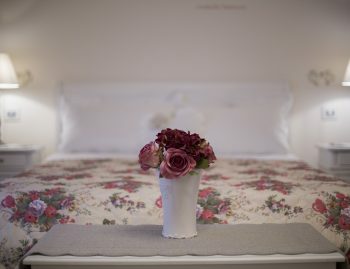 Crossing the threshold of the B&B "BLANC MAISON ETNA" you immediately understand the passion of the Samperi Family for Shabby Chic furniture, which makes the rooms extremely welcoming and refined, with attention to details. 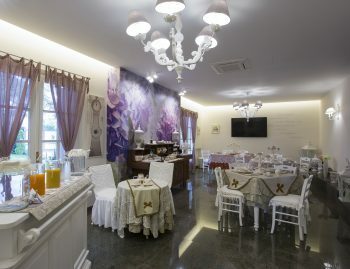 Five rooms: Arabella, Demetra, Penelope, Ophelia and Adaline and for breakfast "Sala Charlotte" elegantly welcomes guests. 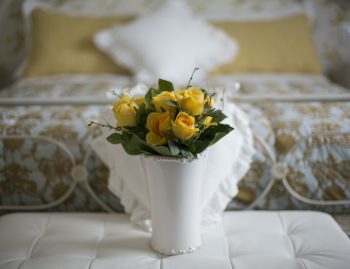 Treat yourself to a delicious stay: cozy, romantic, rejuvenating but that makes you feel even a little "home". Our services are customizable on your requests and needs. "C'è solo una felicità in questa vita, amare ed essere amati". Scegli quali cookie vuoi autorizzare Puoi cambiare queste impostazioni in qualsiasi momento. Per informazioni sull’eliminazione dei cookie, consulta la funzione "aiuto" del tuo browser.